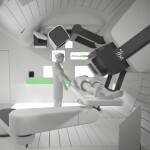 Check out the latest news about proton therapy: this week, find out how this state-of-the-art treatment modality is raising the generosity of communities to help patients overcome cancer. Zachary Rizutto from Southwest Florida welcomed his daughter Roxanne with his wife Melissa a little less than a year ago, but just a few months after her birth, he got an unexpected diagnosis. After experiencing minor blackouts, Zachary went for an MRI and doctors located a brain tumor. A biopsy confirmed their worst fears: it was cancer. A surgeon was able to remove most of the tumor, but cancerous cells remained in portions of his brain crucial to his vision and memory. Oncologists recommended proton therapy to directly target and eradicate those cells and hopefully send the cancer into remission. Zachary chose to travel the University of Pennsylvania to start the treatment where they could stay with family because it is not available in Southwest Florida. Before he could even get started, his healthcare insurance denied coverage for the procedure, which will total around $125,000. The radiation oncologist treating Zachary said proton therapy will allow him to target just cancer cells and not put the healthy parts of the brain at risk for potentially long-term side effects. 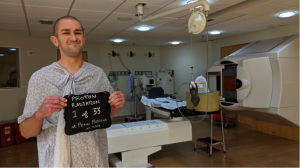 He and oncologists around the country say they are routinely seeing private insurance companies deny coverage for patients like Zachary, who are in the most productive years of their life. Zachary and his wife raised more than half of the cost of treatment on a Go Fund Me page. He began therapy in mid April, which will last for six weeks. The couple will have to pay the remainder of the balance on the treatment within six months. The family of Aaron McMahon, a 17-year-old from East Cork in Ireland, will be eternally grateful that their local community and helpers further afield rallied around them in their hour of need. The family of Callum, who has just turned 17, are launching a fundraiser to be able to take him to the USA for proton therapy to treat his brain tumor. Here is their testimony. Callum has a real passion for football and like most teenagers, he likes to enjoy life and have fun. Unfortunately that fun came to a sudden halt last year when he learned he had a brain tumor called pilocytic astrocytoma. On 7th July 2016, an MRI revealed a tumor the size of a golf ball in the center of Callum’s brain, who underwent life-saving surgery to have it removed. He recovered well from the surgery and after a few months, he started to get a sense of normality back in his life, returning to school and playing football. 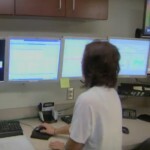 But in October this year during a routine follow-up, Callum learned that the tumor had returned and was growing again. 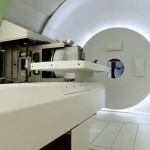 Options of treatment like chemotherapy and further complex surgery were discussed but considering potential side effects, proton therapy proved to be the less invasive treatment available. 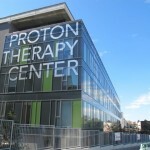 However, proton therapy is currently only offered in the USA, with daily treatments for a period of anything up to 3 months. As the NHS only funds a few cases each year, Callum’s family are attempting to raise funds towards all the other costs associated with his treatment, such as flights, accommodation, insurance and daily living expenses while waiting for funding approval. If you wish to donate to help Callum overcome his ordeal, feel free to visit his Justgiving page.